Keeping an eye on your competitors' social media is now a no-brainer. Instead of actively checking the performance of competitor pages and posts when you log in to Cortex (or following a feed or list for updates), you can get an alert about high-performing posts in real-time. 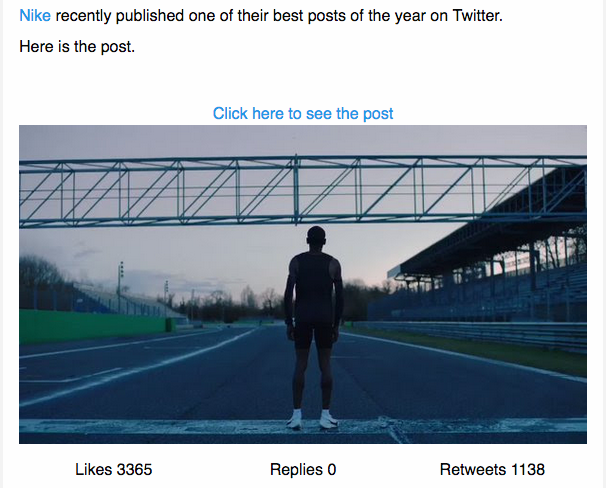 If a post performs in the top 1 percentile over the past week, compared to the previous year, we send you an email. Click to see the entire email. Cortex tracks every single update your competitors publish, so you can spend your time doing more productive things.